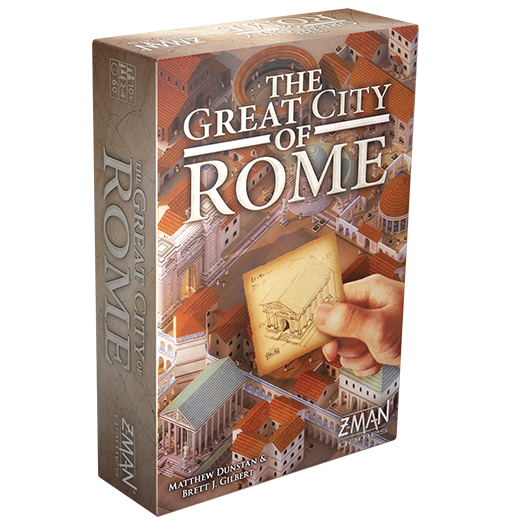 Order The Great City of Rome at your local retailer or online through our website! Wax pools at the corner of yellowed parchment as the candle burns low. Hunched over your design, you sketch a few final adjustments. Weary though you are, there is no time to rest. Material, worker, and financial requirements dance through your thoughts as you step outside your makeshift office. Surrounded by the bustle of workers and craftsmen, you can see that the preparation for construction has already begun and the city is slowly but surely taking shape. The construction of a city is a complex endeavor, requiring meticulous planning, dedicated workers, and sturdy materials. Before the work can start, players must first travel to the court of the Emperor for blueprints and materials to enact their plan. Using emissaries to earn the Emperor’s favor, players can claim spaces on a unique action strip to strategically prepare and move their city plan forward. 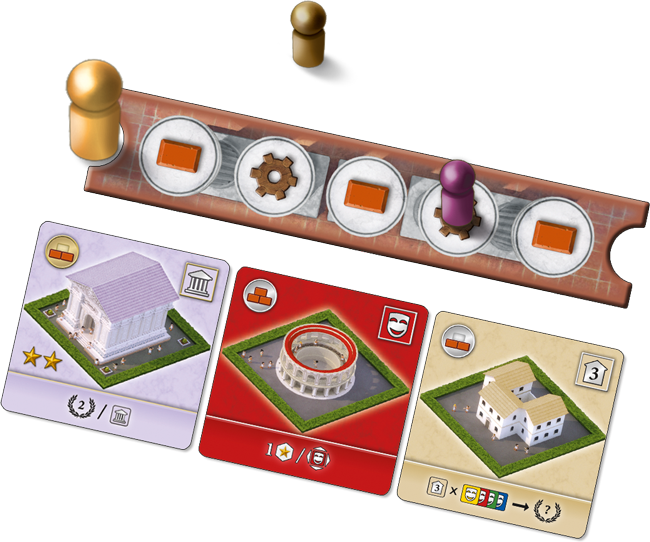 At the start of each round, players reveal a set of available building cards, each with their own attributes, as well as flip one of the six unique action strips. Using their emissaries, players claim spaces on the action strip, carefully choosing the placement to earn the right to claim the best building cards or maximize the number of actions they can take. Once emissaries have been placed on the unique action board, players draft building cards, resolve actions, and construct buildings in order from closest to farthest from the golden Emperor pawn. Send out your emissaries wisely. Spending less time beseeching the Emperor leaves more time to gather resources and materials; players receive the resources depicted on each space between their emissary and the Emperor pawn (including the emissary’s space). Balancing your priorities each round is key to victory. It’s not enough to simply gather the blueprints, materials, and workers, city planning requires the careful arrangement of housing, utilities, and amenities in order to maximize the satisfaction of its denizens. 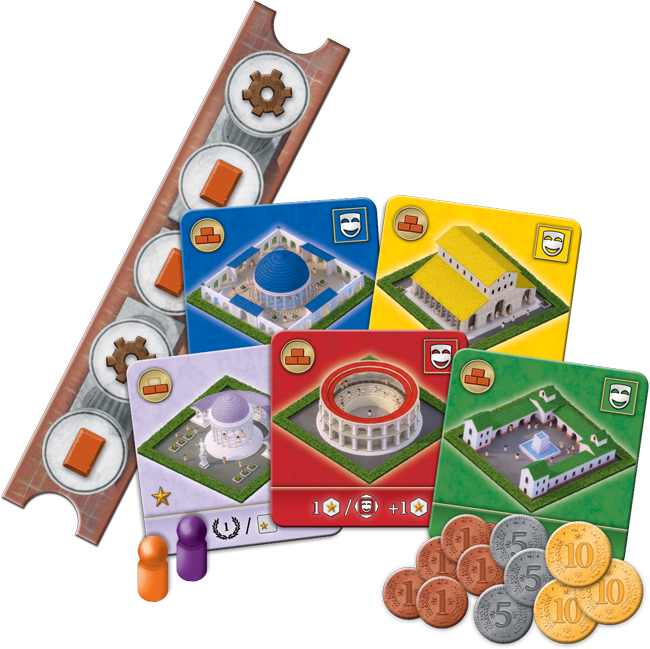 After drafting building cards, players receive an opportunity to place the building into their play area. Throughout the course of the game, you can create a maximum of a 4x4 grid of your buildings. 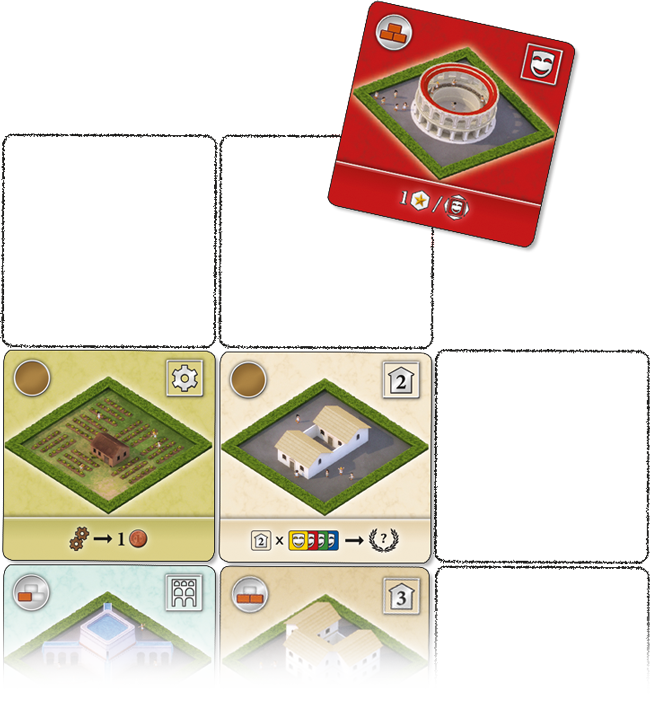 Carefully arrange your residential areas with nearby public buildings, and add in aqueducts, and temples in order to score the most points and win the game, leaving your legacy in brick and marble! Can you bring further glory to the greatest city in the world? 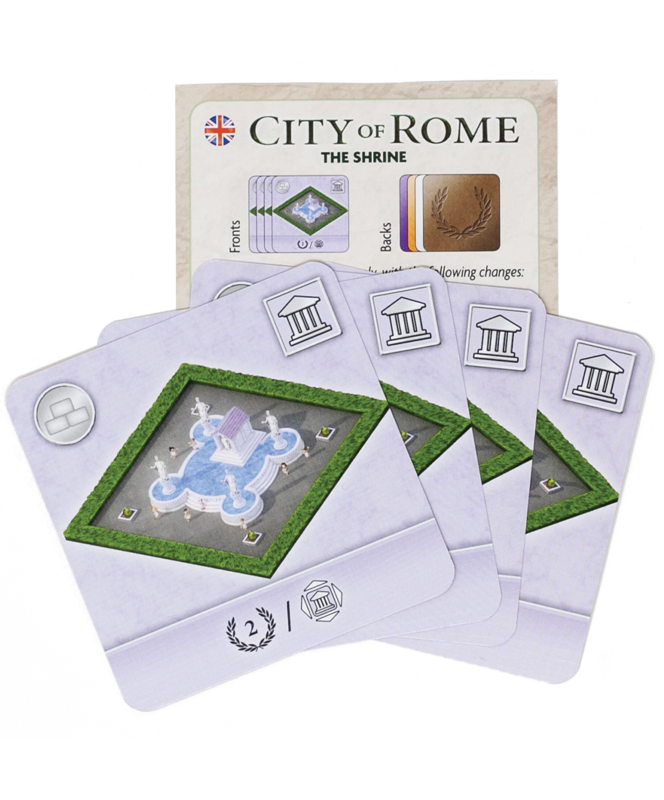 Pre-order your copy of The Great City of Rome today to impress the Emperor and stay tuned for more articles about gameplay. 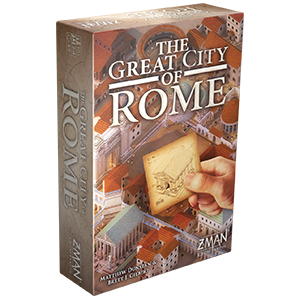 The Great City of Rome will be $39.99 and release in early 2019.